Puzzle game with over 15 puzzle elements and 49 levels to question your intelligence. 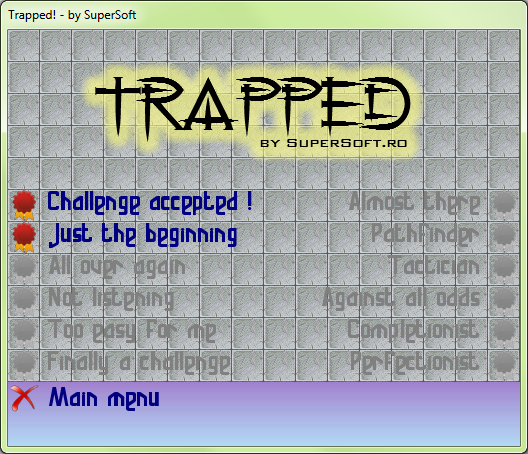 Welcome to Trapped. Make yourself at home. You are going to be here for a long, long time. No one has ever escaped and no one ever will. Maybe until now... You are Teohari, the jailbreaker mastermind. Your purpose is to reach the escape stairs on each level, using keys, teleporters, morphlings, steps and lots of other puzzle elements. Easy enough? You decide. 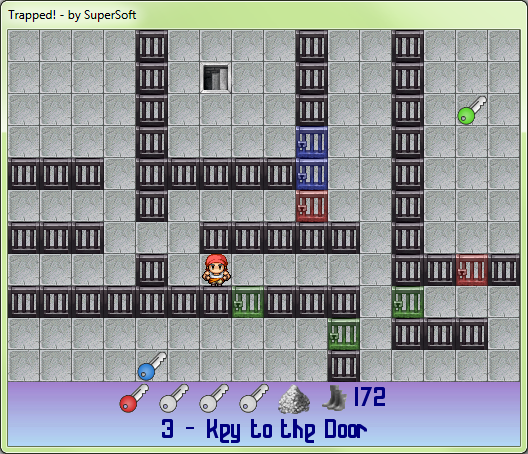 The game features 49 levels, divided in three difficulties, 12 awards to unlock, over 15 puzzle elements, including coloured keys for doors, teleporters, pushing boulders, morphlings. In addition most levels can be finished in various ways, leaving it up to you to decide how. George Adam ©1997-2019. Simple theme. Powered by Blogger.